Is Facebook live the latest distraction contributing to car accidents? Gone are the days when GPS and speaking on the cell phones were the only major sources of distraction for drivers. Live streaming is the latest wave of technology that has been integrated into social media platforms, and needless to say, people are hooked on it. People feel tempted to use social media even while driving their vehicle, and there have been numerous accidents caused by distracted motorists trying to record or live stream while operating a vehicle. As if Snapchat was not enough of a distraction, now Facebook Live has joined the league. Our St. Louis automobile accident lawyer discusses how Facebook Live is becoming a major distraction for drivers. Recently, a young man was recklessly driving, swerving in and out of traffic, before crashing in to a garbage truck at a speed of 115 miles per hour. The State police confirmed that the moment the accident occurred, the driver was streaming a Facebook Live video. He had his camera in the right hand, had no seatbelt on, started to videotape himself, hit a speed of 90 miles an hour and increased it to over 100 miles an hour. The video shows some erratic lane changes and the driver does from a high speed lane to a low speed one, and then into a breakdown lane. Thankfully, the driver survived crash, but was detained for reckless driving. The incidence gives us a glimpse of how dangerous this distraction can prove to be. Giving a statement on the incidence, a Facebook spokesperson said that those who are watching a live video can report any violations of the community standards, and the company will then take appropriate action. In another incidence, a teen was driving with her passenger along a highway when a tractor trailer rear-ended her vehicle. The teen was on Facebook Live when the collision occurred. The Facebook Live video has recorded tire screeching and the crash, as well as the last words of the passenger, who asked the driver if she was going live. This was followed by seven minutes of silence. The authorities are now using this video and other evidence to ascertain fault in the accident. Distracted driving is no accident and cannot be justified under any circumstances. Drivers who engage in distractions while driving are making a conscious decision to put their lives and that of others at risk. 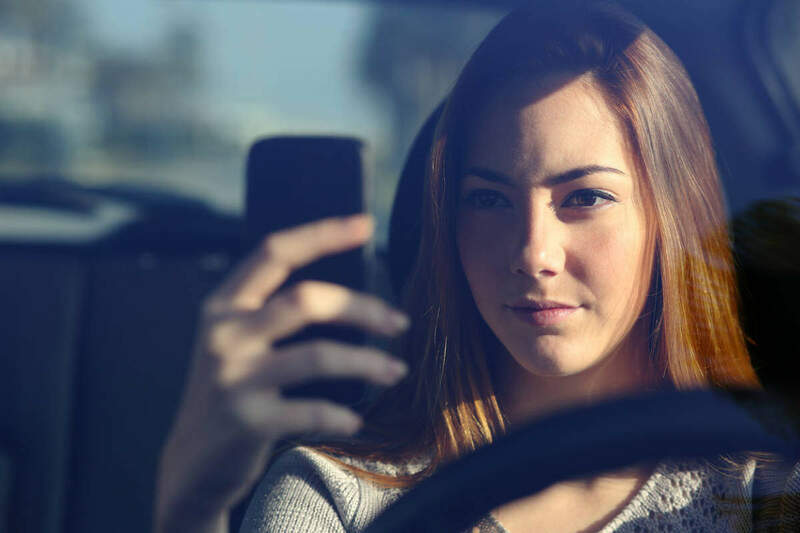 As many as 10 percent of all drivers in the age group of 15-19 years involved in fatal car accidents were reported to be distracted when the crash occurred. If you have been injured, or you have lost a loved one in a distracted driving accident, you have a legal right to be compensated from the party at fault. Give The Hoffmann Law Firm, L.L.C. a call today at (314) 361-4242 to schedule a free case evaluation and learn more about your legal rights.